Great news to all mummies and daddies! 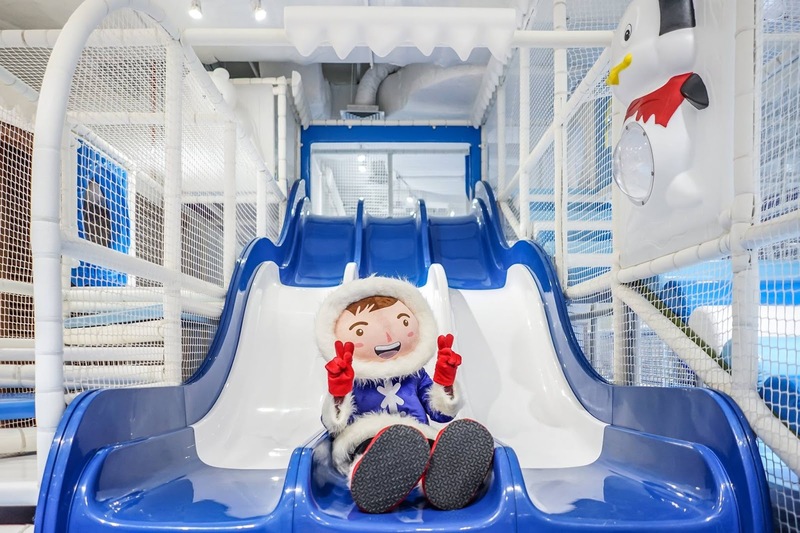 There is new opening of playland and just the right timing to bring over your kids to give them a new snowy experience this coming school holiday. 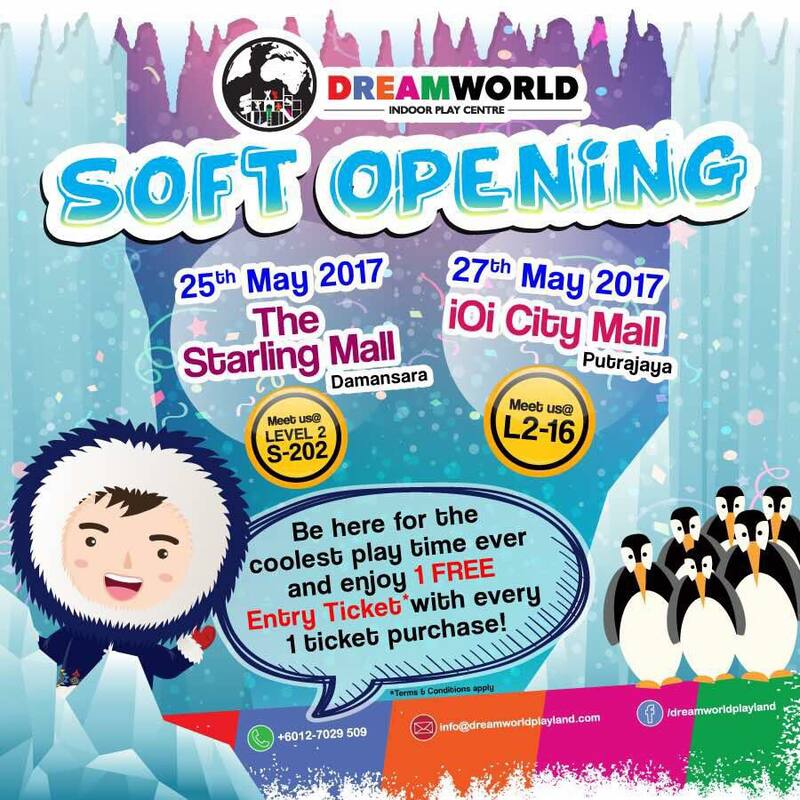 DreamWorld Indoor Playland will be open at The Starling, Damansara Uptown on 25th May 2017 and at the same week, they will also open at IOI City Mall, Putrajaya on 27th May 2017. 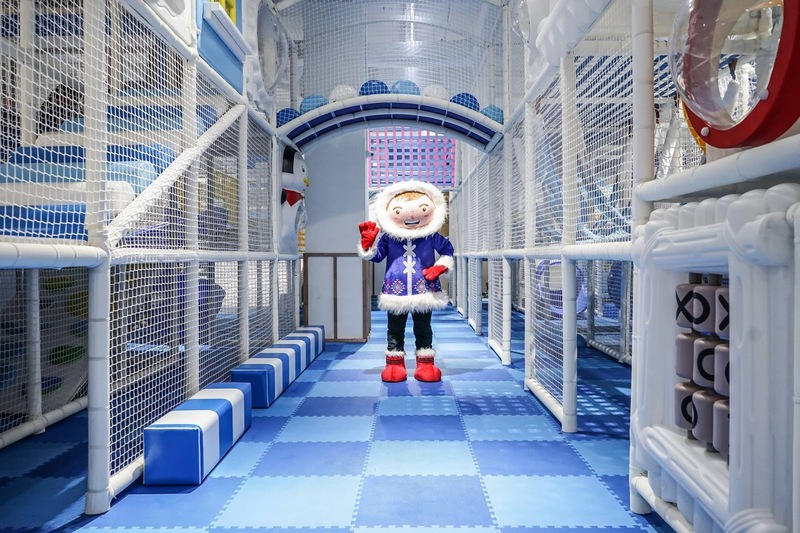 Dreamworld Indoor Play Centre (“DWP”) is incorporated to bring indoor play to toddlers and children up to the age of 12 in a fun, healthy and safe environment. 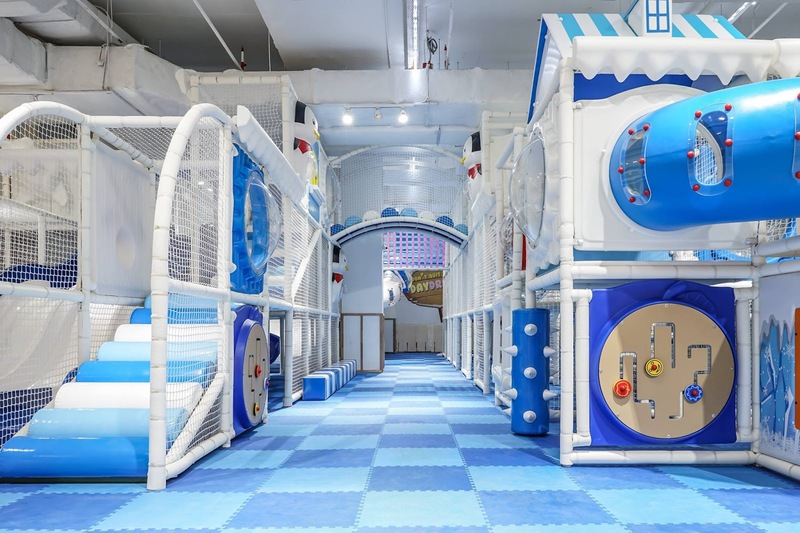 It is an adult-accompanied space where children can learn through play, exploration, seeing and thinking. Combining education and entertainment has a profound effect in the development of a child’s motor, social and interaction skills. Eskimo mascot to greet the kids! Yeah my kids surely love this! 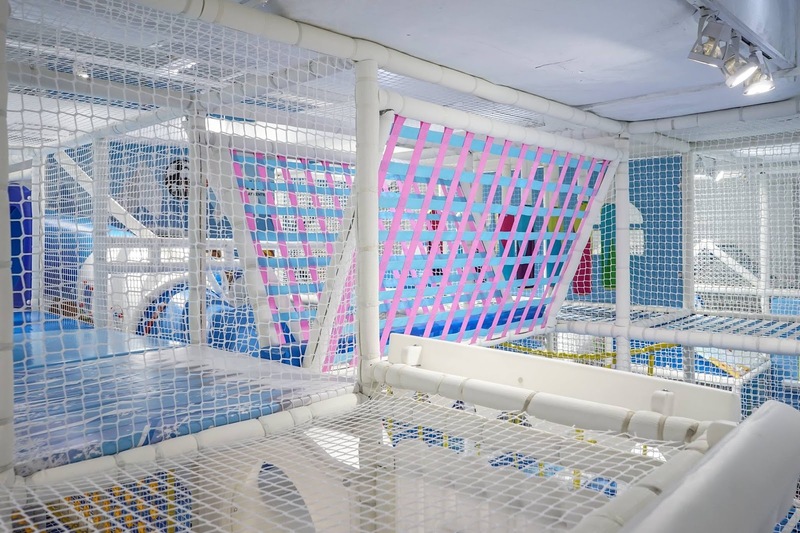 Slides, climbing up and down and going through lots of obstacles. Good for them to learn motor skills and keep them active! Now is the Soft opening promotion offering a Buy1 FREE 1 ticket to be used on the day itself! For continuous 3 days, both outlets are having this great promotions that you should not missed out. The admission rates at The Starling is priced at RM48 on Weekdays and RM58 on Weekends. 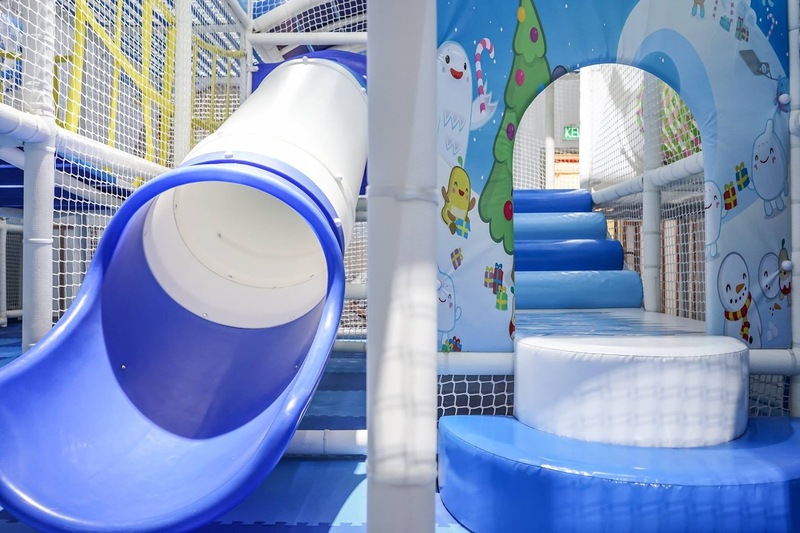 For kids below 2 years old, the rate is RM 25 for weekday and RM 35 for weekend.Moreover, with the admission paid, the kids get a free animal ride and one complimentary drink for the accompanying adult. All kids love birthday parties! 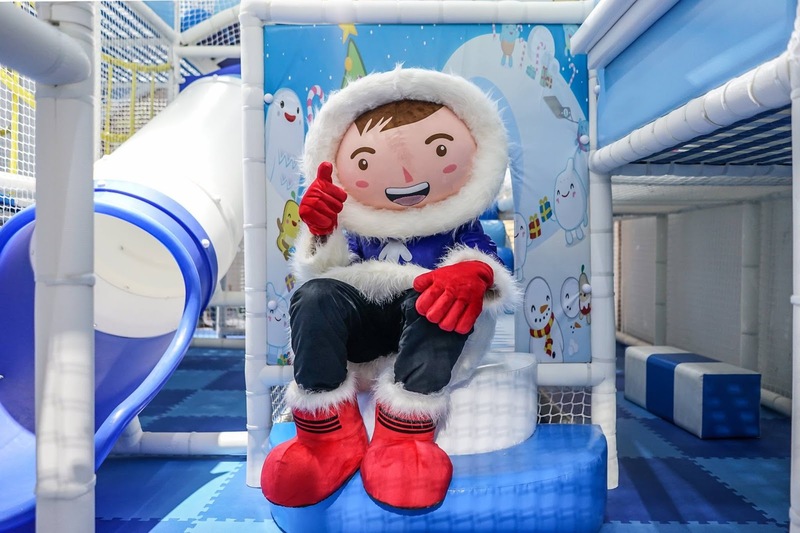 Plan for a memorable birthday party for your little one at DreamWorld Indoor Playland .There are 2 types of packages to choose from - The Penguin Package at RM68 for Weekdays and The Snowman Package at RM78 for weekends. 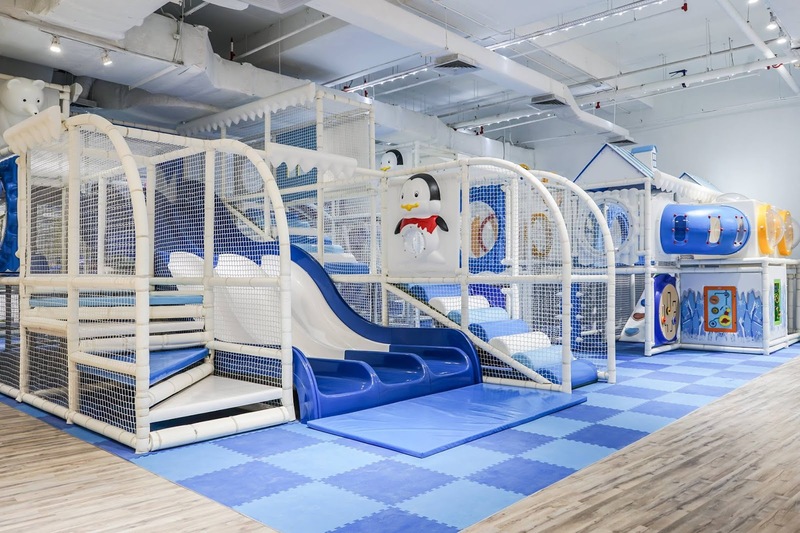 The package include usage 2 hours of the party room, unlimited playtime for the children, kids' meal provided and invitation cards for guest. 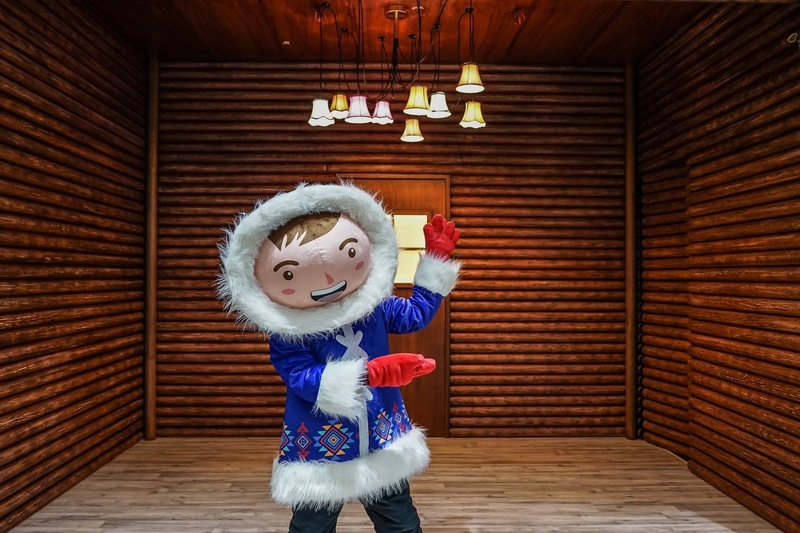 There will be Eskimo the mascot to entertain the kids and makes the event more meaningful and fun. 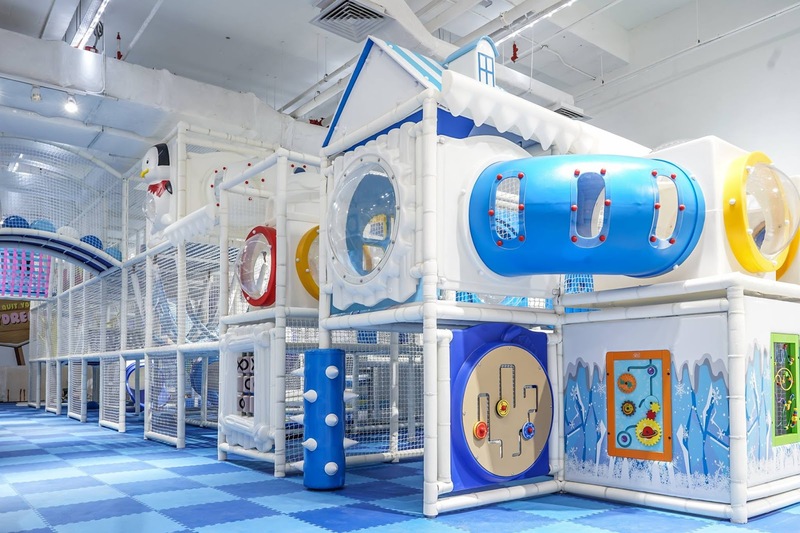 The admission rates for IOI City Mall, Putrajaya are set at RM45 on Weekdays and RM55 on Weekends per child (age 2 to 12 years old). 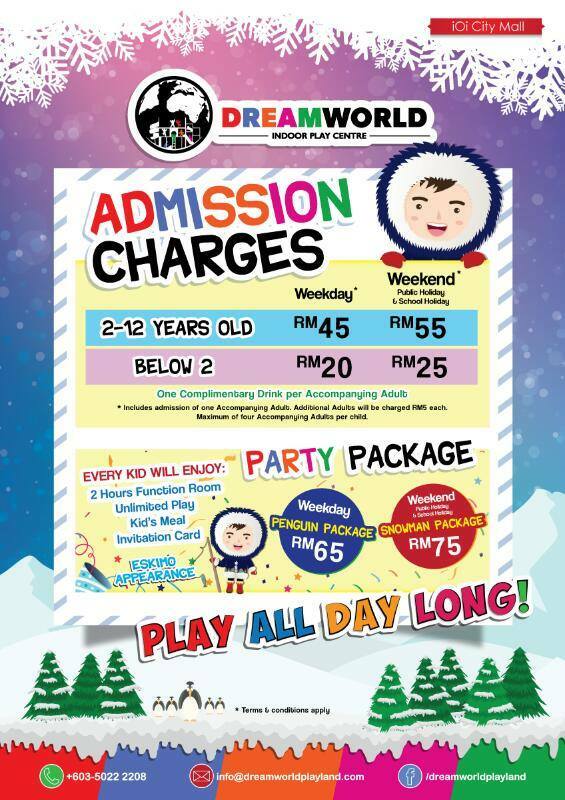 For kids below 2 years old, the rate is RM 20 for weekday and RM 25 for weekend. One child ticket purchased will allow an adult in to accompany them. Every additional adult entering will be charged an extra RM5 each. Maximum 4 adult is allowed for each child. 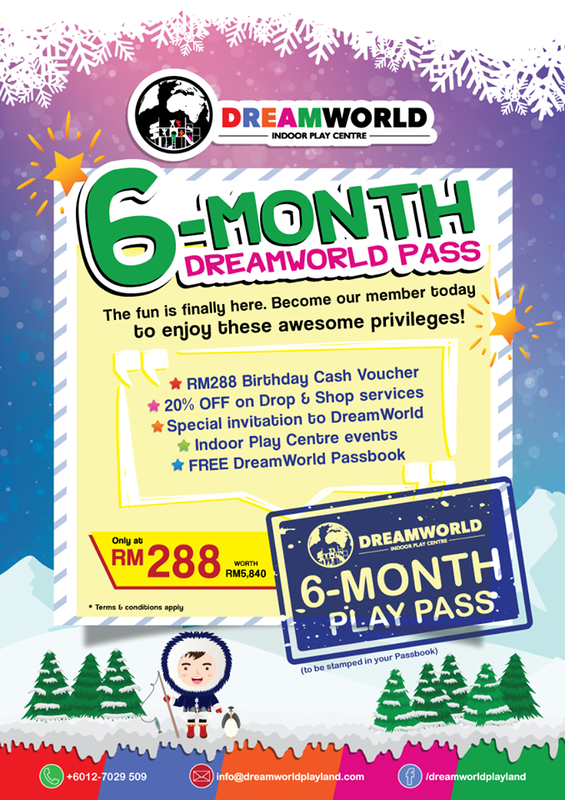 DreamWorld Indoor Play Centre also offer 6 month DreamWorld pass. Sign up as their member and enjoy the various privilege. All of this privileges is worth RM 5,840 but now you only need to pay for RM288! Good savings! 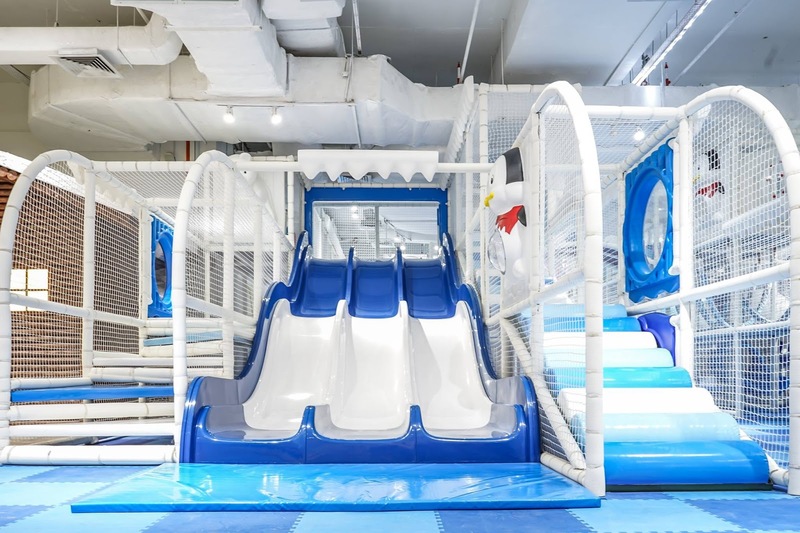 So come over the weekend to check out this playland and have fun and bonding time with your kids. I can't wait to bring my 3 kids over for this excitement! ** Remember to bring your own socks . Super save package just for member only or public?